Leonardo is a prominent Chilean actor, who has resided and created an artistic career in Costa Rica, not only as an actor but producer and director for theater and TV. Leonardo has had a storied career. 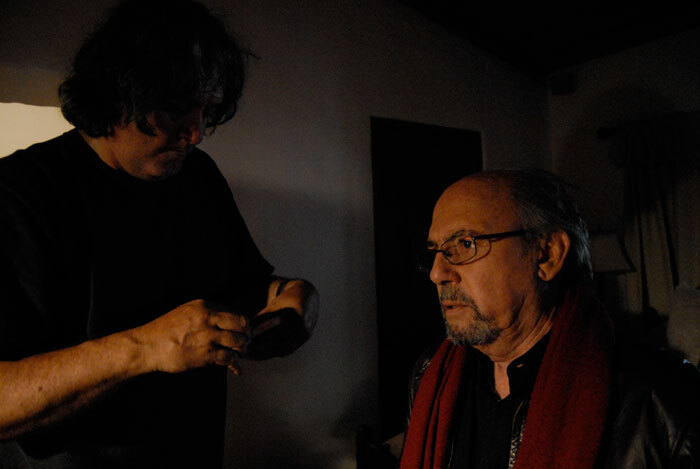 He has acted in more than 100 theatrical plays and four telenovelas in Chile (Hippie; Brujas; Descarado; Papi Ricky), has been awarded “Best Actor” in Costa Rica five times, and has produced and directed theatre performances such as The Night of the Iguana, Trees Die Standing, San Ovidio Concert, and The Miser. During his tenure with Televisora de Costa Rica, he produced or directed television shows as well as being the host of major ones such as Fantástico, Burumbun, Tica Linda and Fiestas de Palmares. He currently sits as the director of the Municipal Theater Company in San Jose, Costa Rica and has served as an acting and theatrical directing professor for over 4 years at the Theater School of the University of Costa Rica. He has also taught Improvisation & Theater for fan workshops in San Jose.